Now: Palestinian Pres. Abbas writes Putin asking he stop Trump plan to move US embassy to Jerusalem. * I hope that this is the kind of thing Speaker Ryan and other Republicans have to deal with more often in the coming days. Congratulations, US media! You’ve just covered your first press conference of an authoritarian leader with a massive ego and a deep disdain for your trade and everything you hold dear. We in Russia have been doing it for 12 years now — with a short hiatus when our leader wasn’t technically our leader — so quite a few things during Donald Trump’s press conference rang my bells. With the incoming Trump cabinet, we’re going backwards by more than 30 years. President-elect Donald J. Trump’s cabinet is shaping up to have a smaller percentage of women and nonwhites than the first cabinets of Barack Obama, George W. Bush, Bill Clinton and George Bush. 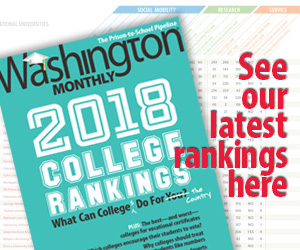 “Donald Trump is rolling back the clock on diversity in the cabinet,” said Paul Light, a professor at New York University’s Wagner Graduate School of Public Service. * The Department of Justice made a major announcement today. 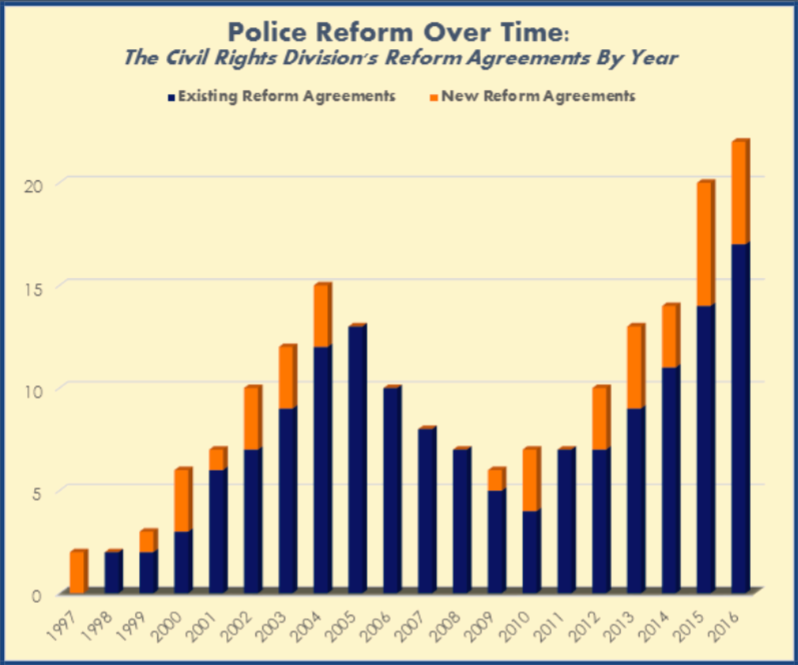 * As Adam Serwer notes, Jeff Sessions has promised to reverse that progress if he is confirmed as the next Attorney General. * Finally, I’m going to get on my Minnesota high horse about this one and say that some of you guys in other states need to pick up your game. 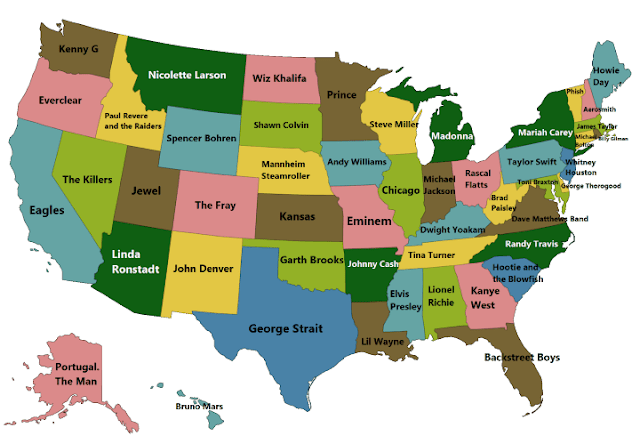 Here is the best selling singer, musical artist or band from each state.